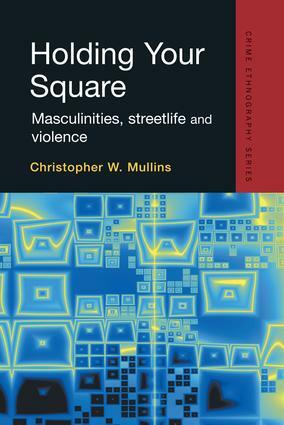 This book is about the meanings of masculinities within the social networks of the streets of an American city (St Louis, Missouri), and how these shaped perceptions and enactments of violence. Based on a large number of interviews with offenders the author provides a rich description of life on the streets, contextualizing criminal violence within this deviant subculture, and with a specific focus on issues of gender. The book provides one of the most detailed descriptions yet of the forms masculinity takes in disadvantages communities in the United States. It establishes how street based gender identity motivated and guided men through violent encounters, exploring how men's relationships with women and their families instigated violence. One key issue addressed is why men resorted to violence in certain situations and not in others, exploring the range of choices open to them and how these opportunities were interpreted. The book makes a major contribution to the study of the relationship between masculinities and violence, making use of a much larger sample than elsewhere.